Alexander Parzis is driven in his role as a Sales Executive and has a strong passion for the real estate industry. As a local resident, Alexander has an overall appreciation for our wonderful community and what it has to offer. Alexander has a rich background in the hospitality and property sales industry. He is 100% customer service focused and a proactive leader in his field. As a past owner and operator of his own business, he has a drive in delivering what you want as the client and will strive to achieve the best possible results for you. He understands that your happiness and goals are paramount and he will set out to achieve this the best way possible. Alexander’s professional background and training has equipped him with world class interpersonal and organisational skills and he thrives on working under pressure as a keen negotiator to maximise the best possible outcome for what you want to achieve. Passionate about real estate, keeping up with current market trends and building upon his own personal property portfolio. Alexander is able to provide and follow through with advice to those looking to sell, buy or invest whilst maintaining an ongoing professional relationship with many of his current clients in their future endeavours for years to come. Angelo believes in the value of building sound customer relationships with potential clients and strives to provide the highest quality service possible. With over 30 years of sales experience behind him he understands that communication is vital and its role in ensuring that all his clients are left smiling and satisfied. As a former business owner he conveys the knowledge and skills that come with owning and managing a business, as well as building and maintaining an extensive client portfolio. A fresh face to the industry, Angelo has hit the ground running and is wasting no time in building a strong client base. He understands the importance of hard work and putting in the hours required and is focused on utilising every moment to expand his knowledge and perfecting his craft. He also understands that every client is unique and is passionate about taking the required time defining exactly what their needs are. Customer satisfaction is paramount to Angelo and he will work determinedly to prove himself and set out to achieve your goals the best way possible. For tailor-made service of the highest calibre, with either buying or selling, look no further than Angelo Svic as he welcomes the opportunity to assist you with your property needs. Ann’s background has always been in sales, although she started her working life as a hairdresser and owned salons; one in the Magill area. She has a keen sense of style and will advise you how to present your property to get the best outcome. Ann’s dedication to her job is total; you will be the most important person in her life during the course of your sale and like many other clients, become her life long advocates. She has many a happy client willing to give her glowing testimonials, even putting her forward for agent of the year. Ann has sold millions of dollars of properties all over Adelaide. Having a Scottish background she has held the prestigious office of Chief of the Royal Caledonian Society, this has helped her to communicate with people from all walks of life, and countries. Ann will “Panda” to your every need. - Honesty - Integrity - Communication - Reliability - Excellent Negotiating Skills Her promise to you is, honesty, integrity, communication, reliability and excellent negotiating skills. She will “Panda to your every need” and get the best possible result. Daryl Hermsen’s wealth of knowledge of the Real Estate industry and his passion for real estate is coupled with hard work and a sheer determination to achieve outstanding results for his vendors. His ethical approach and excellent negotiation skills make people around him feel they are in safe hands. He doesn’t take the responsibility of selling houses lightly and has a confidence and expertise that has made him successful within the industry. He brings excellent advice, attention to detail, integrity, and a high level of professionalism to every part of the sales process. He keeps his clients regularly updated and informed throughout the campaign, and will guide you every step of the way. Daryl has a consistent focus on professional excellence and continually strives for top results. He is a strong negotiator who relates to all types of vendors and buyers with confidence. His targeted and carefully executed sales and marketing campaigns, ensure maximum buyer interest, as does the diligent, timely follow up of potential buyers. Graham Margrie has been involved in the real estate industry for around 40 years. He started his career selling residential homes and land in the north eastern areas but quickly gained clients all over Adelaide. He owned and operated a real estate office for 20 years with great success. Graham has had vast experience in both marketing and sales since 1970 and sold millions worth of Adelaide real estate with lots of very satisfied clients and is now proud to have joined the very professional Harcourts group to continue helping people make their moves. John Joyce has been involved in the real estate profession for a large part of the last four decades. He has been selling residential property for what has become the Harcourts Group for 25 of those years. He joined the iconic Brock Younger in 1988, and has continued to work with Michael Brock through the agency’s evolution to Brock Partners, Brock Residential, Brock Harcourts and now (purely) Harcourts. During this time he has sold property across the broadest spectrum of the market. A Licensed Real Estate Agent, John comes with a highly successful sales background based on hard work, honesty, straight-forward communication, and a passionate desire to assist people. He will tell you what you need to know – not, perhaps, what you want to hear. Sales $ now total into the hundreds of millions. John is also an experienced Auctioneer which brings another dimension to a property sale. This gives him full control of the campaign from start to finish. He was a finalist in the 2011 BankSA Messenger Newspapers Golden Gavel competition and is a member of the (Brock) Harcourts team which has won the Auction Agency of the year for the years 2011 and 2012. 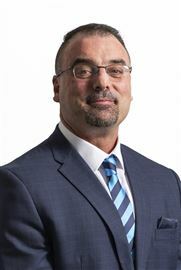 Aside from Michael Brock himself, John is the longest serving member of the residential division of the original South Australian Harcourts Group. He is proud to be associated with the group still, most recently as the Director of his own office at Magill. Great home with great views. How good is the location! WOW! What a gorgeous home!